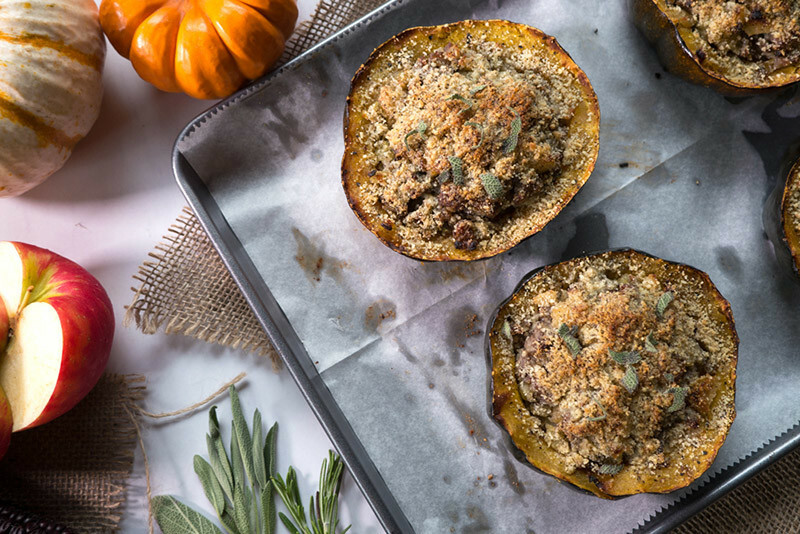 When the temperatures drop, groceries stores fill up with varieties of winter squash — acorn, butternut, delicata, pumpkin. 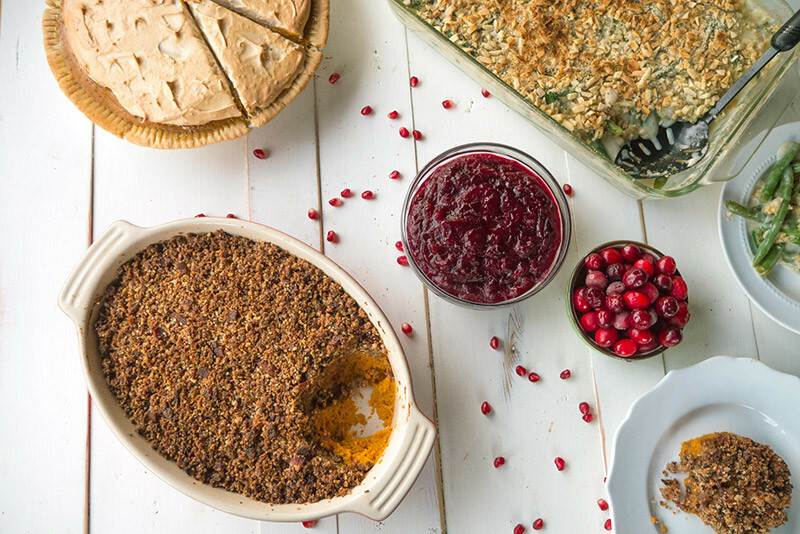 If you’re new to cooking with winter squash, check out this post for tips of how to select and cook with each variety. 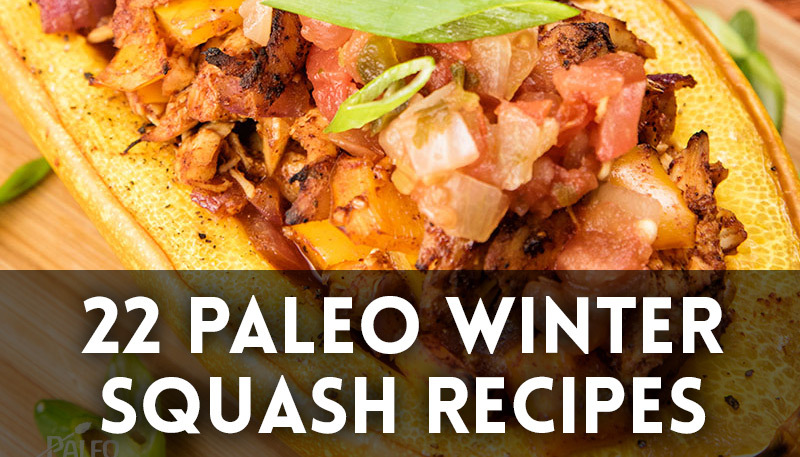 Then, try one of these 22 winter squash recipes! 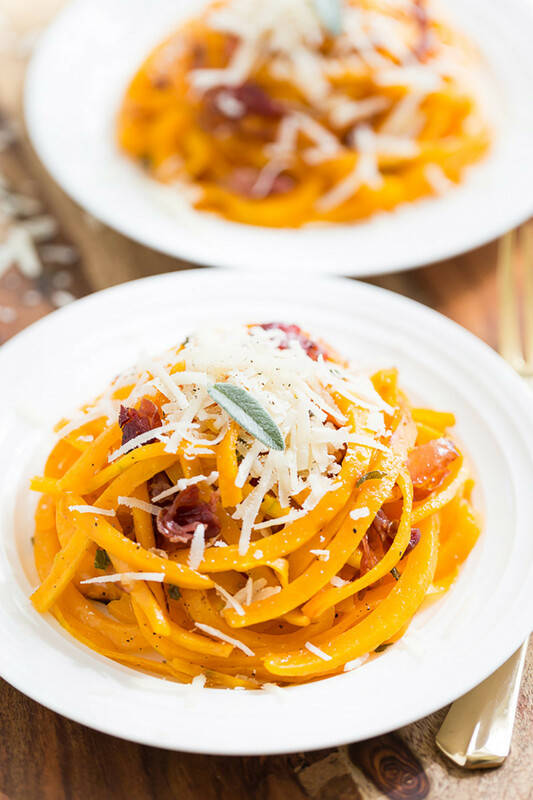 A savory and comforting dish of veggie noodles with bits of prosciutto and sage. 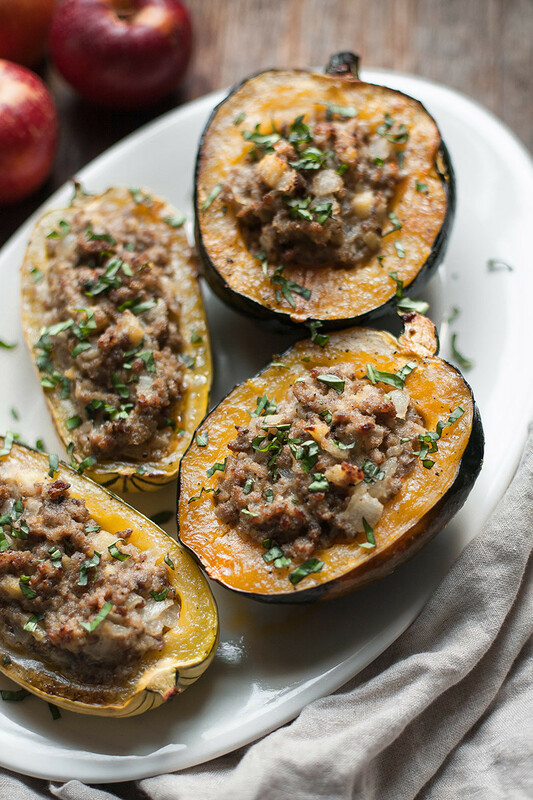 Stuff squash with sausage and apple for the perfect fall dish. 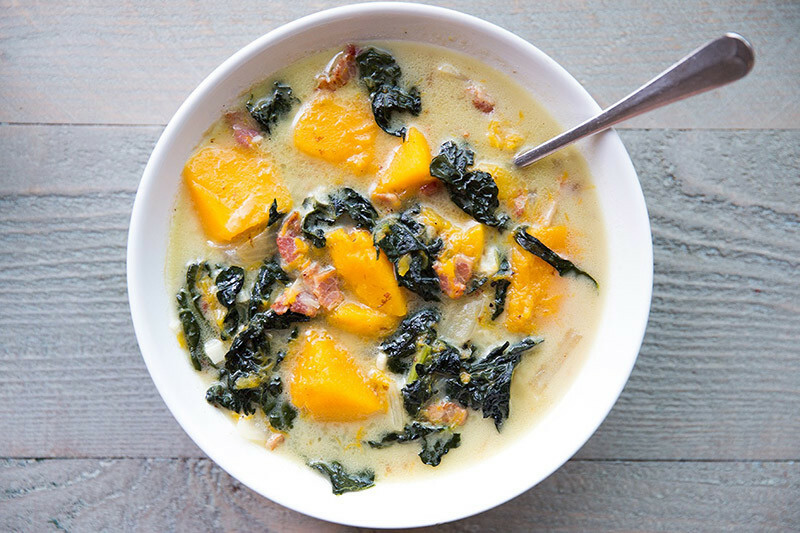 A rich, creamy soup made with butternut squash, coconut milk and bits of bacon. A one-pan skillet meal that tastes great as an egg-free breakfast or a no-fuss lunch or dinner. 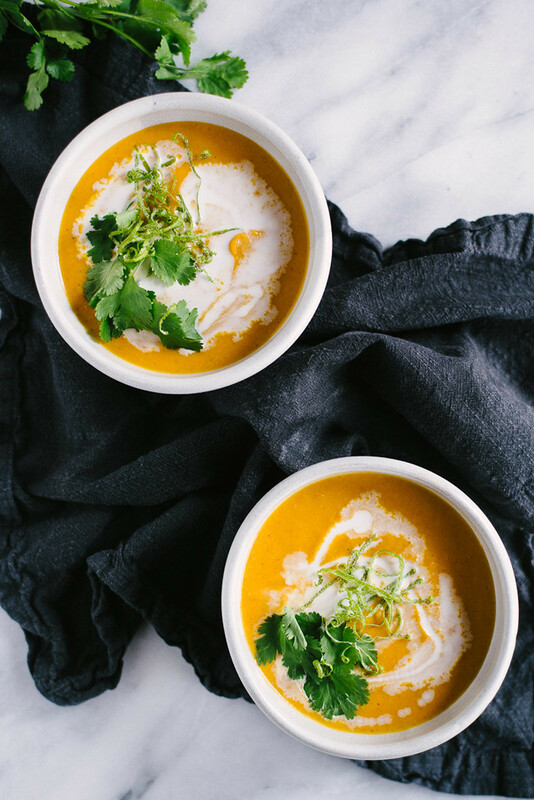 A smooth, velvety butternut squash soup with a hint of curry. 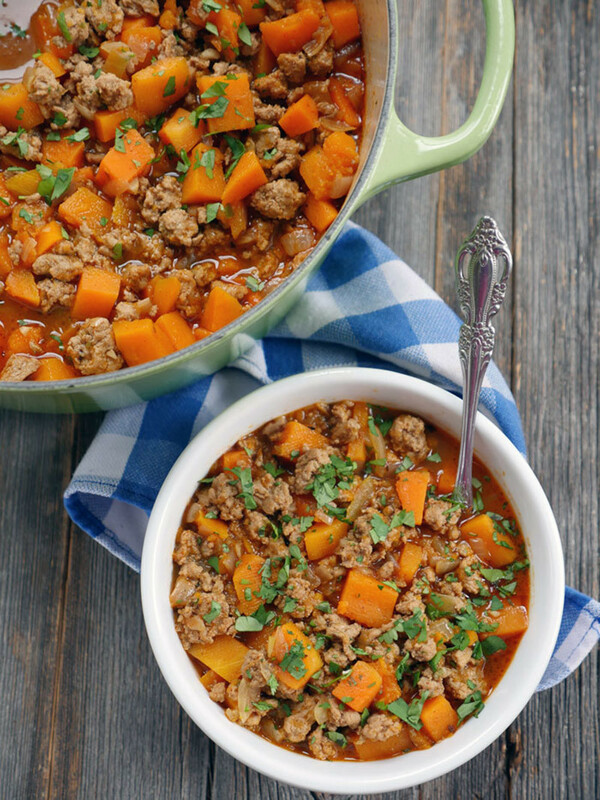 A smoky, chipotle chili made with squash and turkey. 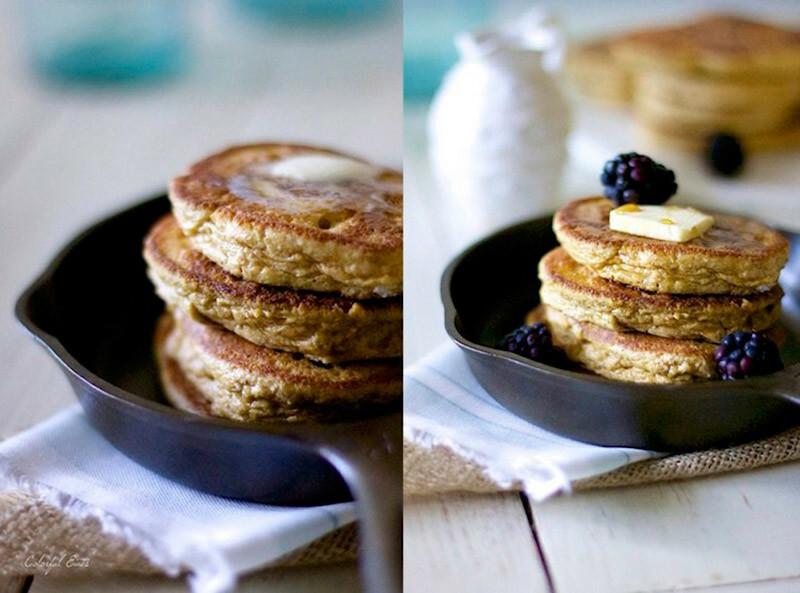 A sweet and spiced pancake made with nut butter and squash. 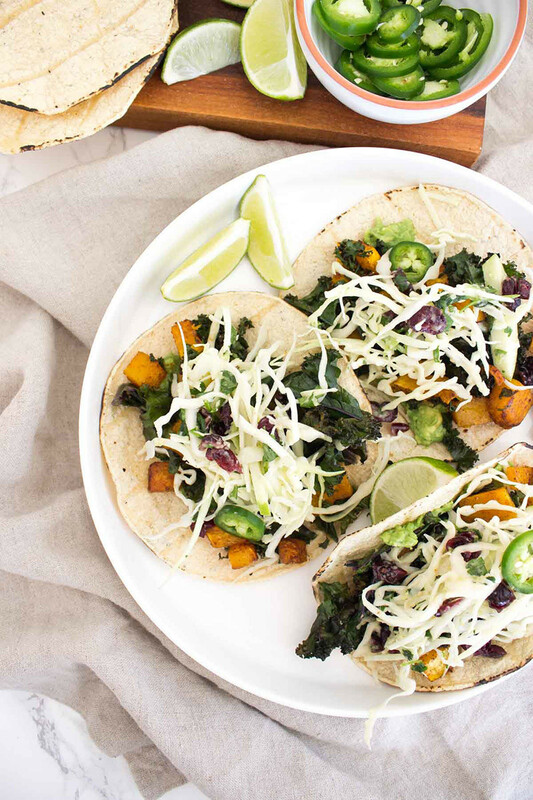 Tacos topped with guacamole and a deliciously tangy cranberry apple slaw. Stuff, bake and sink your fork into this stuffed acorn & sausage dish. 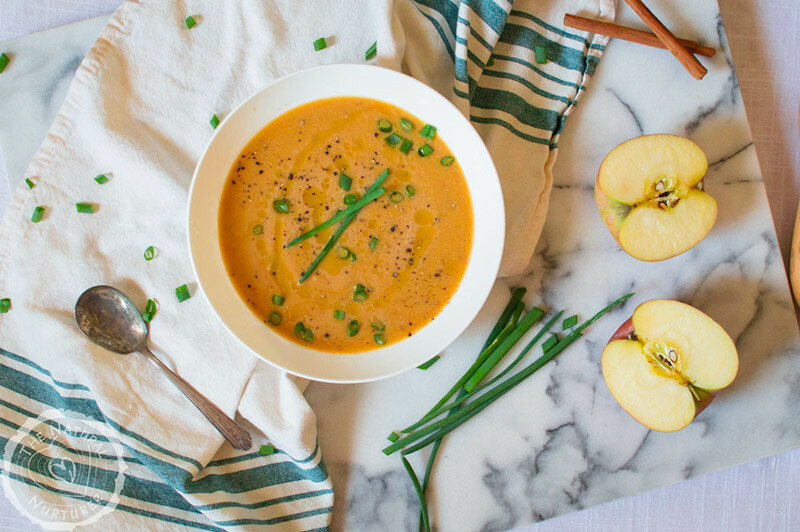 A blend of sweet and savory make this warm butternut squash soup a hit! 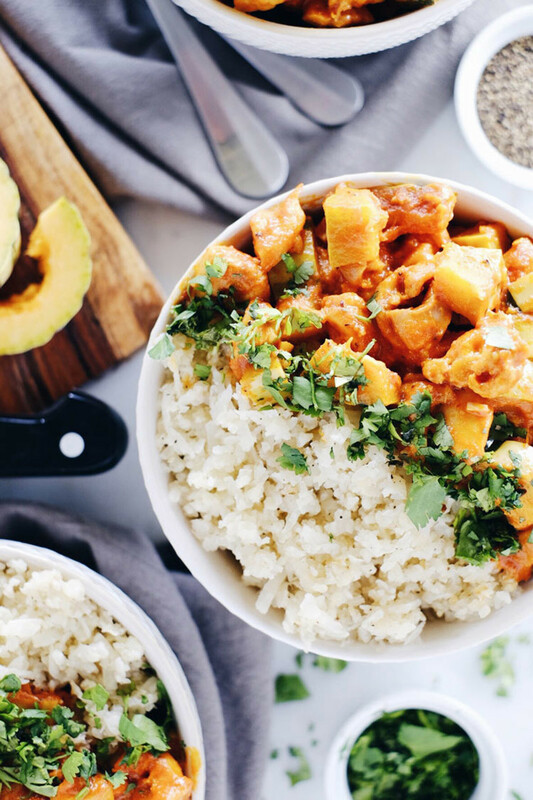 A squash bowl made a little spicy from the red curry paste, and slightly sweet from the delicata squash. 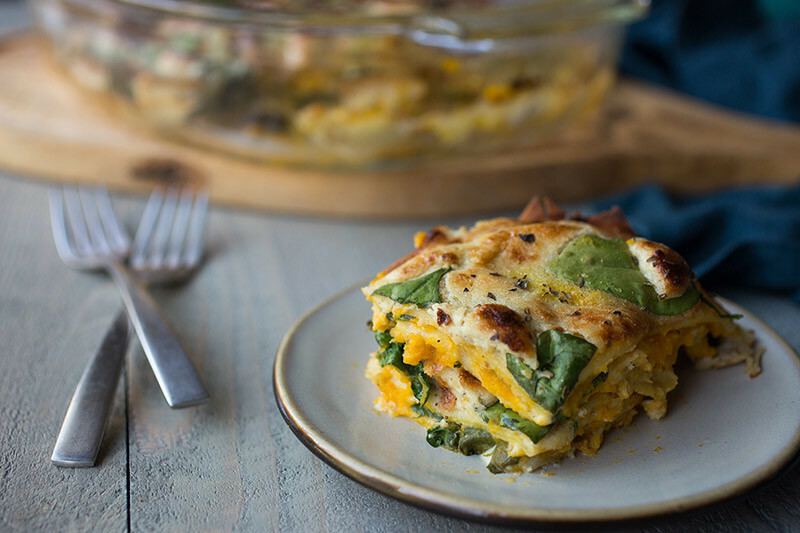 A comforting dairy-free and grain-free lasagna made with a cashew-based “cheese” and butternut squash. 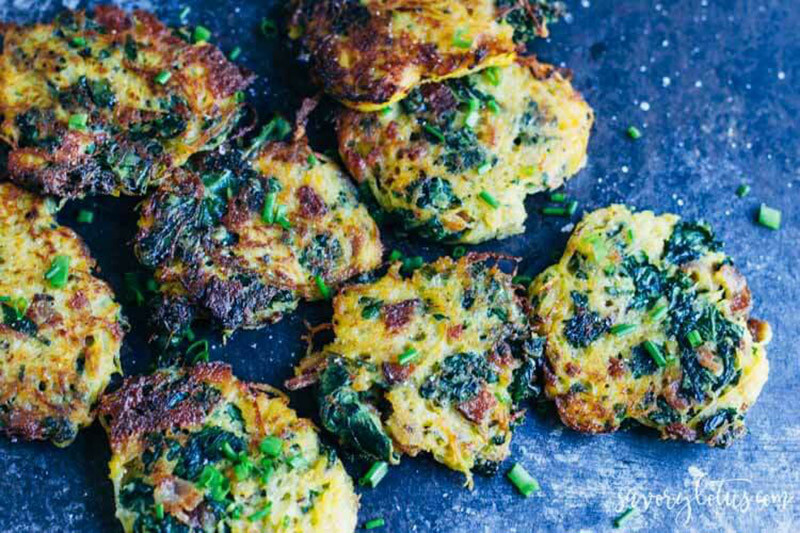 An easy, savory spaghetti squash fritter recipe made with bacon and kale! 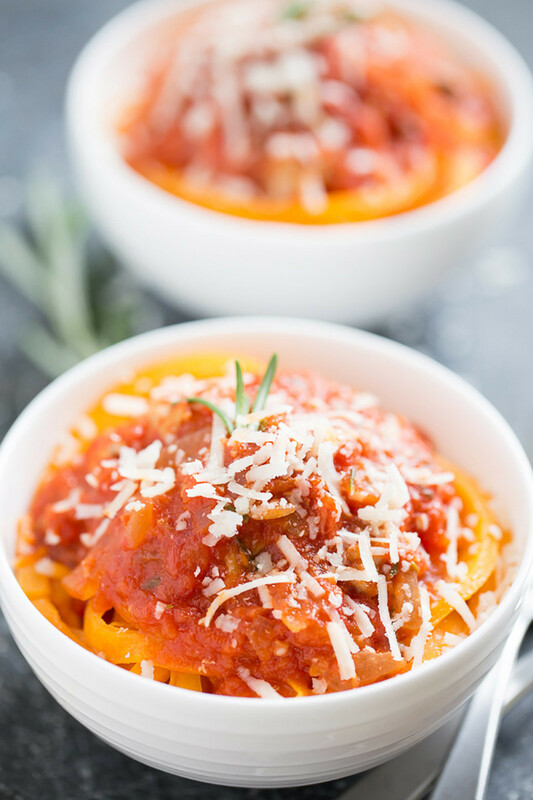 Spiralize butternut squash into noodles and serve under a chicken ragu sauce! 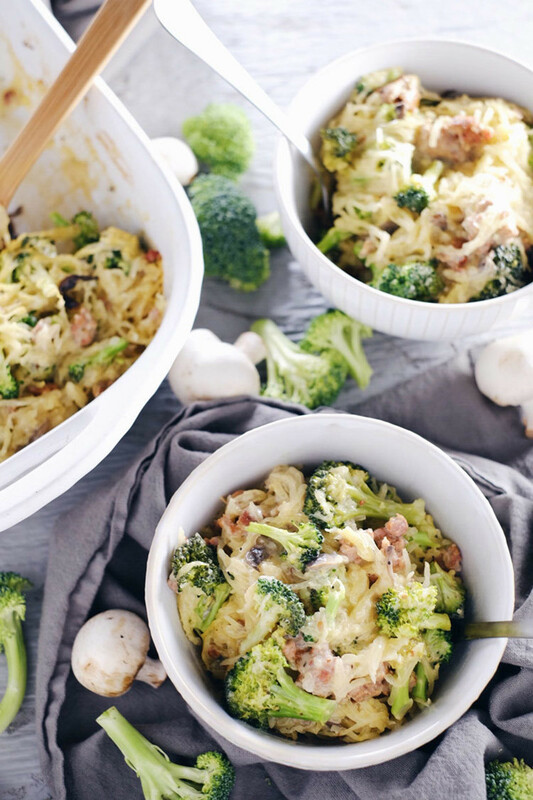 A creamy, garlic-filled casserole made with comforting spaghetti squash and Italian sausage. 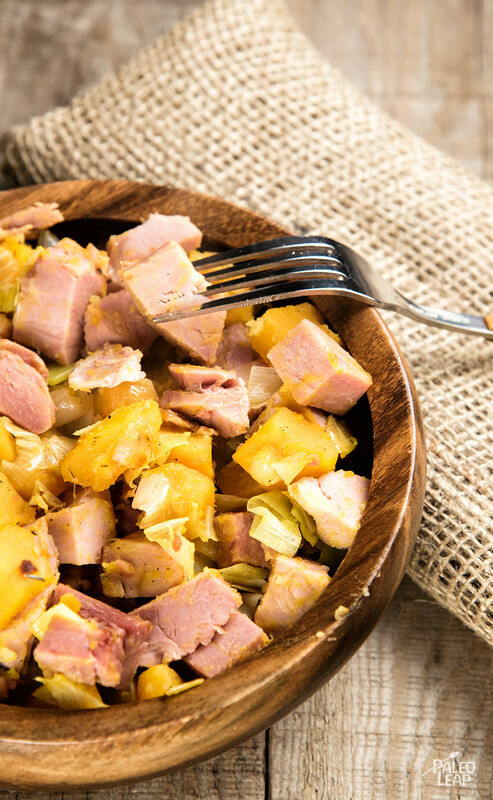 A Paleo take on the classic sweet potato casserole. 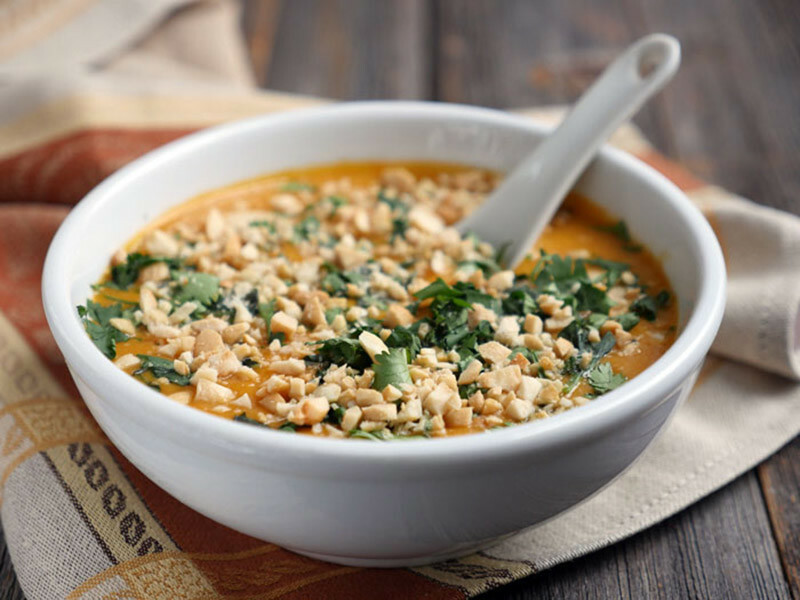 A sweet and savory Thai-inspired butternut squash soup. 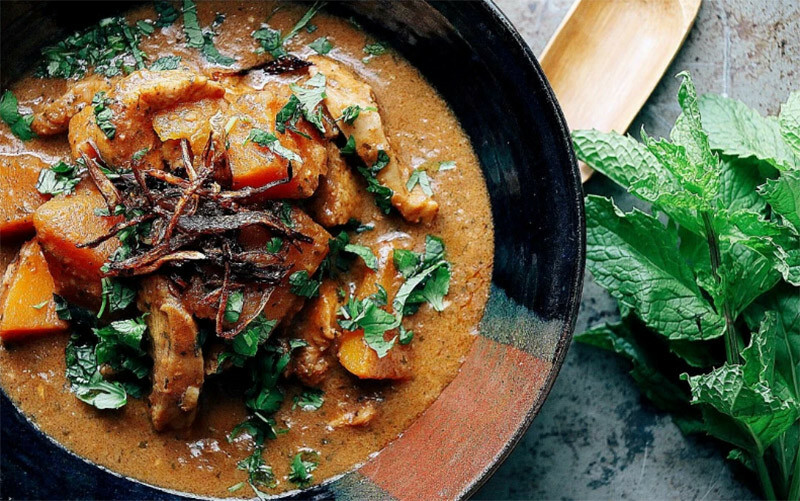 Whip up this chicken korma dish with a homemade korma paste filled with fresh herbs and spices. 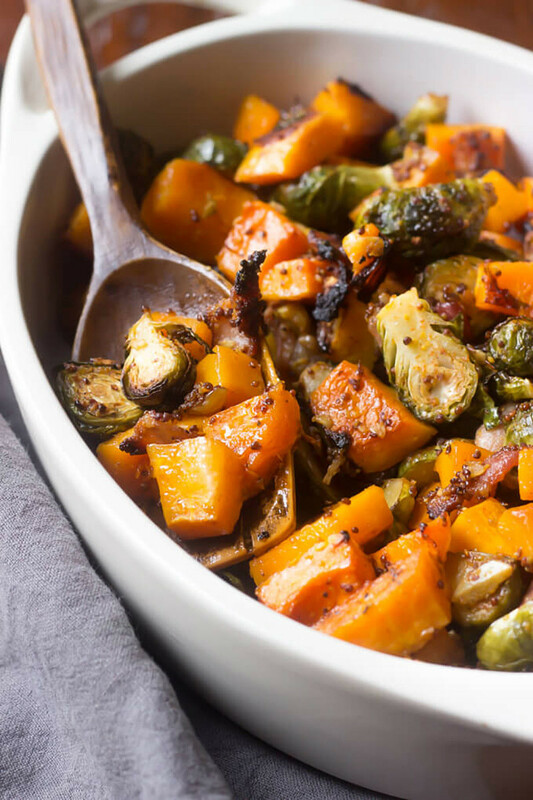 A perfect side dish filled with savory bacon and sweet butternut squash! 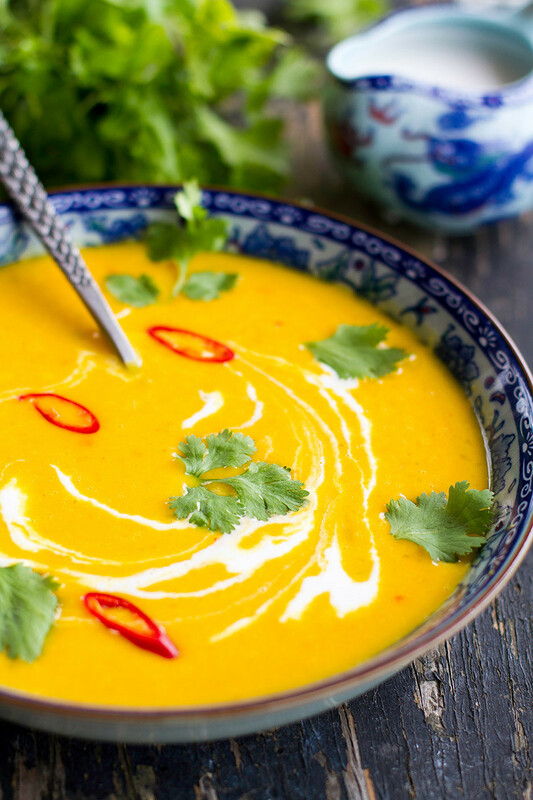 A warm, spicy pumpkin soup — perfect for the winter months! Tired of marinara sauce? 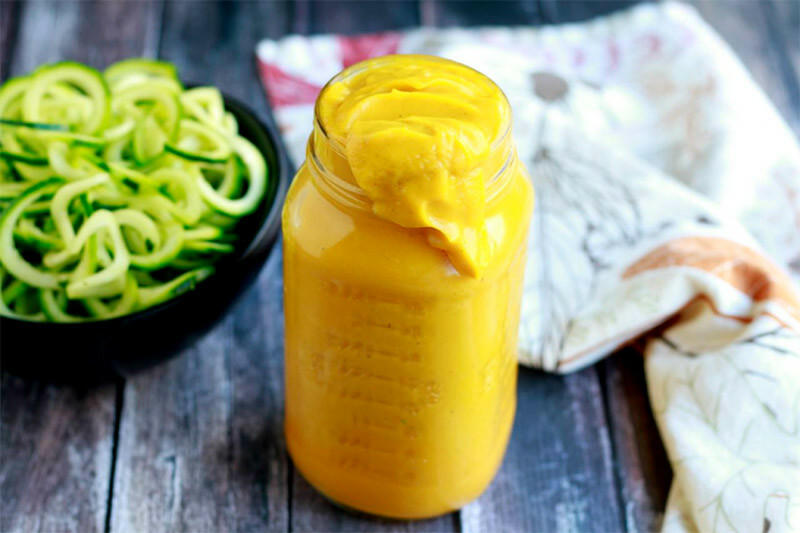 Try this butternut squash-based pasta sauce. 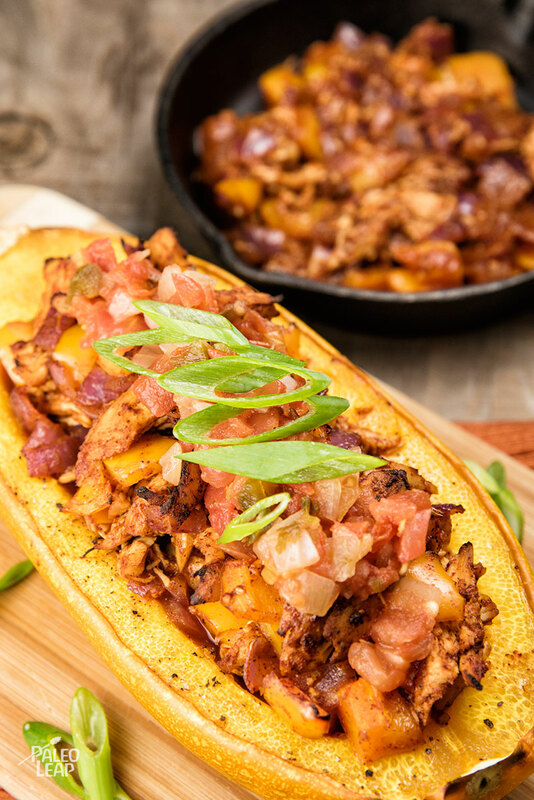 This recipe is sure to be a family favorite: shredded chicken in a flavor-packed tomato sauce served inside roasted spaghetti squash.